The winter weather is almost over. Soon it'll be time to switch from hot coffee to iced, from red wine to chilled rose and from hot tea to iced tea. 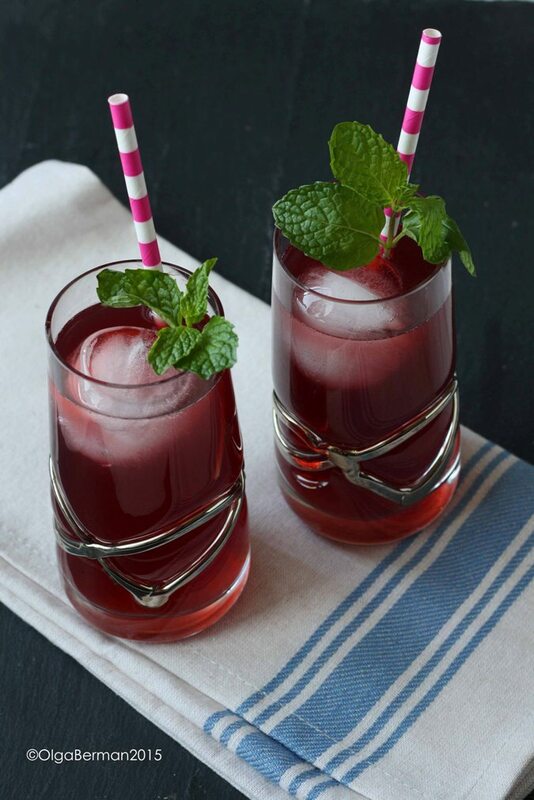 This recipe for Cherry & Ginger Iced Tea can be made with your favorite iced tea and even spiked with a bit of sparkling wine or rum! I love cherries: both sweet and tart. I love them fresh or made into jams and spread on toast. But this was the first time I tried cherry juice thanks to a few samples I received from Cheribundi, The Cherry People. "We’re the Cherry People. Every 8 oz. 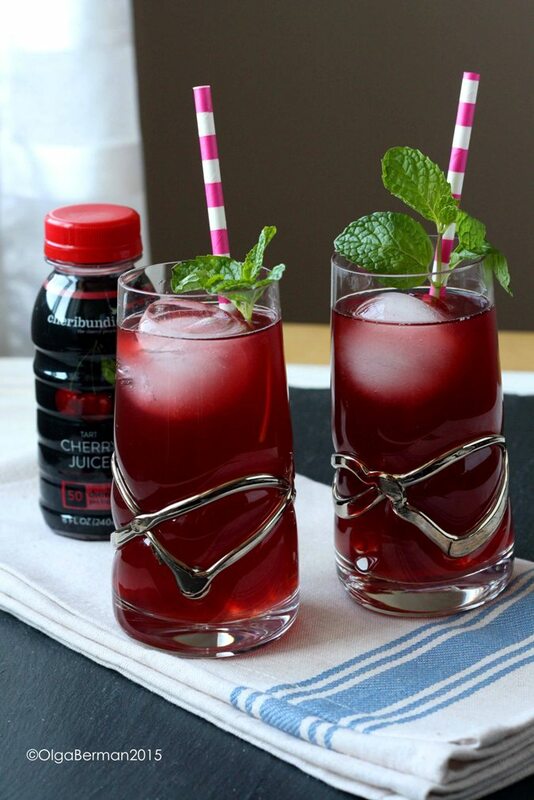 bottle of our original cheribundi cherry juice has over 50 tart cherries in it. Packed with phytonutrients, it’s commonly called “the tart cherry“ and is a true source of greatness for the body." I've been drinking cherry juice daily as part of the 7 Day Challenge and although I haven't really noticed a huge change in how I feel, it's been a delicious part of my breakfast or an afternoon pick-me-up. 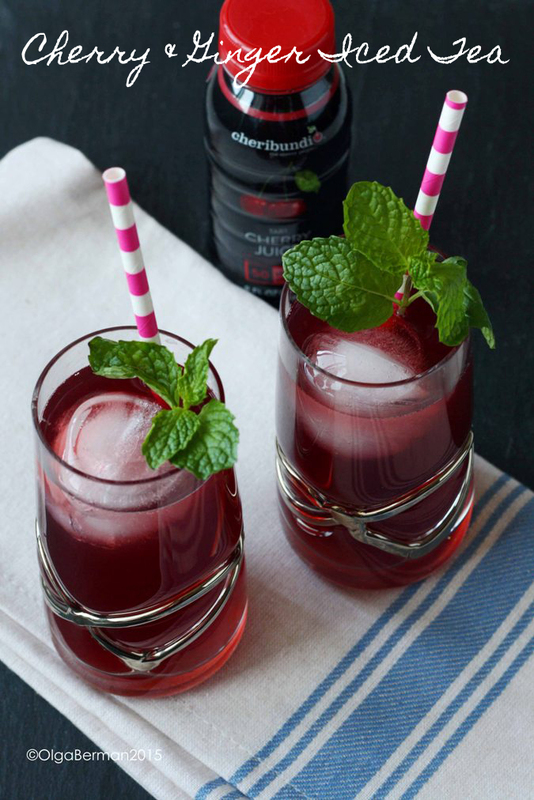 Over the weekend I combined Cheribundy's cherry juice with ginger syrup, iced tea and a sprig of mint for a refreshing drink...and it's pretty too! 1. 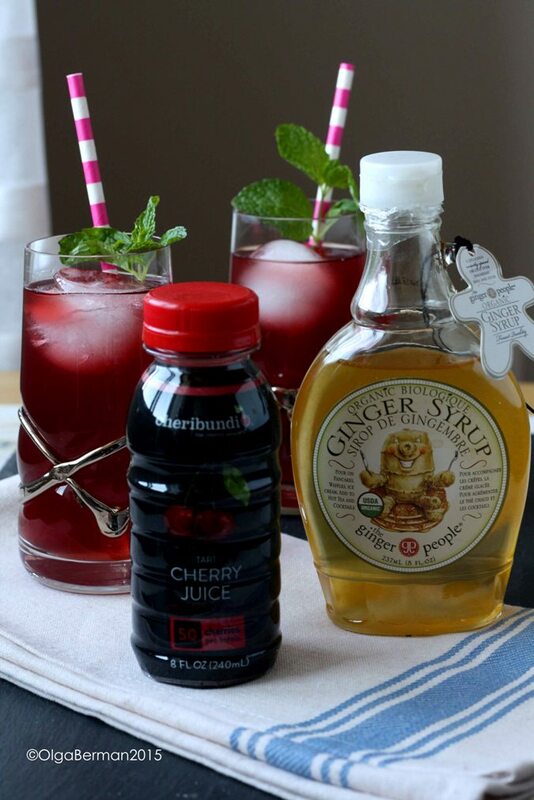 Combined iced tea with cherry juice and sweeten with ginger syrup to taste. 2. Pour over ice and garnish with mint. How pretty is this iced tea!? Disclaimer: I received samples of cherry juice but was not compensated for this post. All opinions are my own.